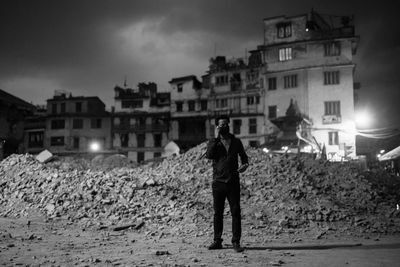 On April 25, 2015 a 7.4 magnitude earthquake struck Nepal, killing thousands and leaving the country struggling to recover. 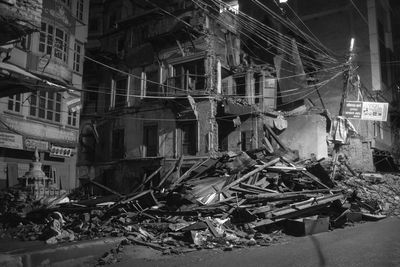 Two weeks later, survivors experienced another two major earthquakes, leaving them in an uncertain situation, where nature seemed to decide their fate without warning. The most dramatic times come at night when the city streets and mountain paths are wrapped in darkness. If the earth starts trembling, sleep can betray you. 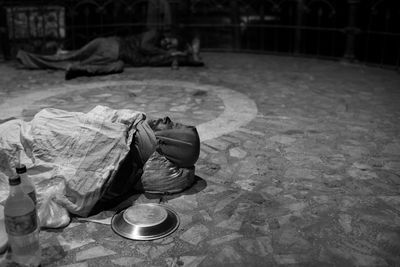 People sleep outside, stay up to maintain security in their neighborhoods or just suffer from insomnia and stay awake out of habit. 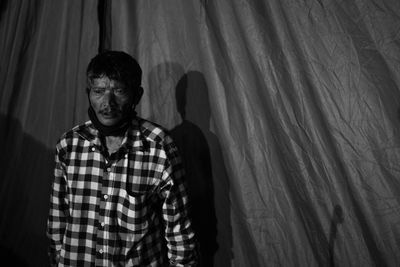 Today, Nepal is living a nightmare, even during the day, where continuos aftershocks remind people that their home stands on the seismic hot zone where the Indian plate collided with the Eurasian plate - giving birth to the Himalayas. 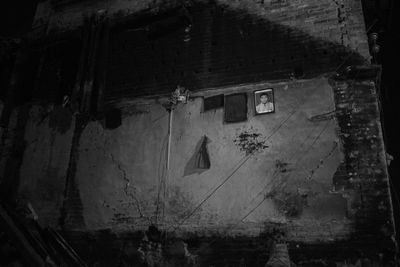 In Bhaktapur, a portrait remains intact on the wall of a destroyed house after the violent earthquake struck Nepal on April 15th. 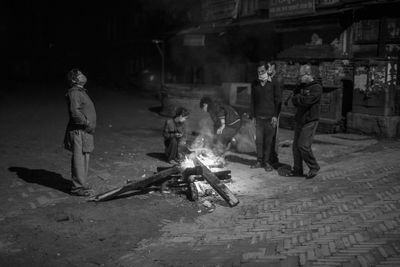 Earthquake victims warm themselves around a fire amid the ruins of the ancient city of Bhaktapur, Nepal, a UNESCO Wold Heritage Site. 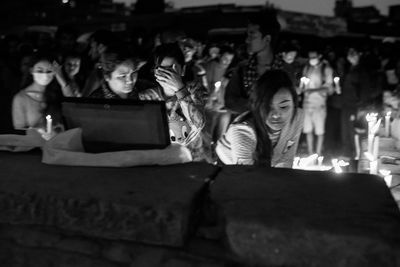 Resident of Bhaktapur hold a candlelight vigil in remembrance of three young friends that died together under the rubble after the earthquake on the 25th of April. 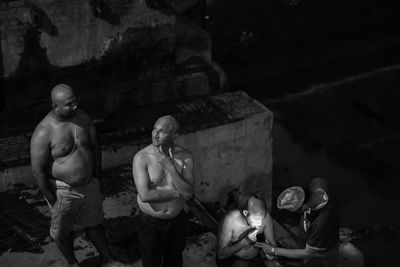 Family members of a deceased person shave their hair following tradition after the body of their relative has been cremated at the Pashupatinath temple in Kathmandu. 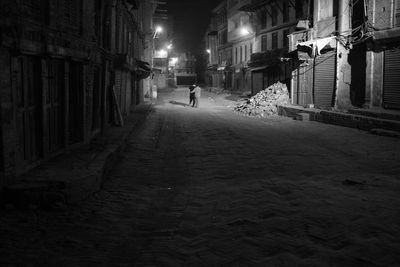 Two drunk friends walk together late at night between the rubble of downtown of Bhaktapur, now mostly destroyed. 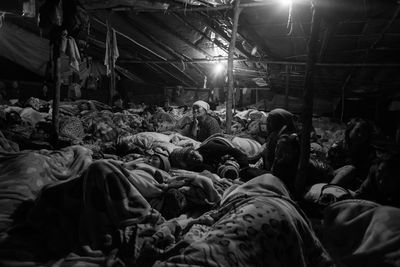 Dozens of people sleep in the open air in Kodari on the Tibet Chinese border. Thousands of people have remained blocked for more than a week in the area. The Araniko Highway connecting Kathmandu and China has been obstructed at various points as result of landslides provoked by the earthquake. 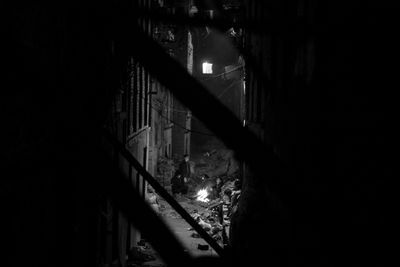 Groups of citizens in Bhaktapur organize night shifts working as security guards around the city to avoid robberies inside abandoned houses. 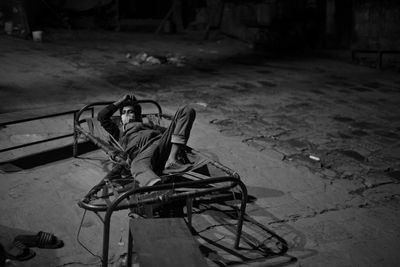 A victim of the earthquake sleeps outside on the road as a result of the damage his home suffered in the quake. 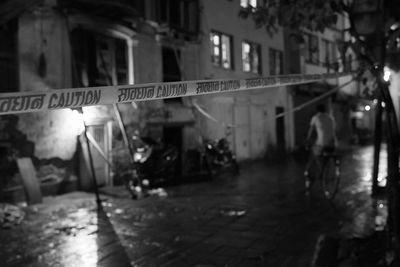 More than three-quarters of the buildings in Nepal's capital, Kathmandu, are uninhabitable or unsafe. 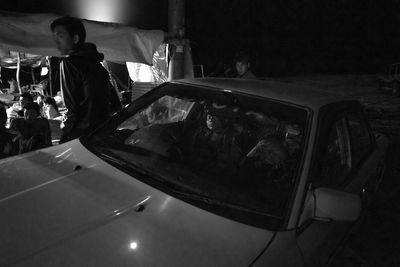 Nepali tourists sleep inside their car in a popular spot in Kodari village near the Chinese border. Truck drivers and families on holiday have been stuck for more than week due to the earthquake. 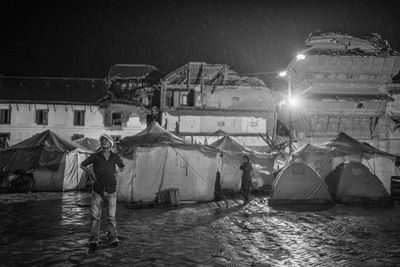 A victim of the earthquake stands outside a tent in the Durbar Square area, the ancient historical city center of Kathmandu. Durbar Square was one of the areas of the capital most damaged in the earthquake. A statue of the monkey-god Hanuman stands intact between the ruins of Kasthamandap temple and Durbar square. Entire areas of the ancient city of Kathmandu remain in danger of collapsing in aftershocks. Many roadblocks are in place to avoid people walking through. 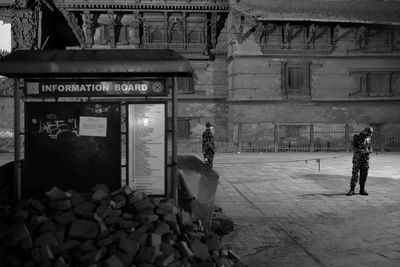 The Nepali army has closed the entry to Durbar square in Kathmandu from 7pm to 6am for security reasons. 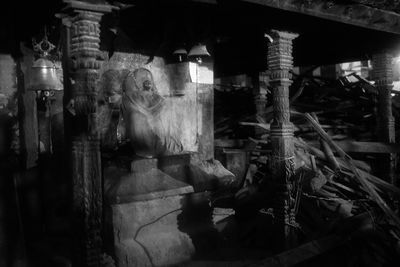 A building lies in ruin between the ancient Durbar Square quarter of Kathmandu and the tourist area Thamel. The total numbers of foreigners who fell victim to the earthquake are still unknown. 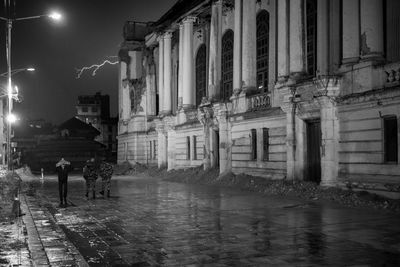 A Nepali army officer walks during a nighttime rain storm in Durbar square. As the rainy season is approaching in Nepal, the danger of more landslides and collapsed buildings is increasing. Displaced people camp right in front Durbar Square. Nepal's Government fired a "warning shot" at landlords, saying any property owner who tried to profit from a devastating quake that left thousands of families homeless would face legal action. People left homeless by the earthquake still sleep in the open air in Nepal's capital Kathmandu. More than a half-million tents are needed for the huge numbers of people forced from their homes by Nepal's devastating earthquake. An earthquake victim stands in front of the fire near her home in Bakhtapur.